PT. 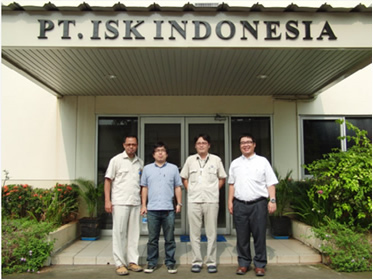 ISK INDONESIA was established as an Indonesian company belonging to ISK co., ltd. (Iwata city, Shizuoka prefecture) in 2004. It is located in Karawang International Industrial City of Karawang Regency of West Jawa. It takes approx.1 hr. by car from Jakarta, the capital city. The company is operated by an expatriate employee Mr. Suzuki and 80 local employees engaged in designing, manufacturing and maintaining molds. 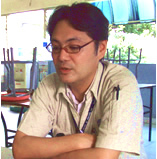 Mr. Suzuki has been in Indonesia for 8 years. Please find below his comments during our interview. �gI think that there are not so many companies capable of LP (low-pressure casting) and GD (gravity diecasting) in addition to the main business line of manufacturing aluminum molds as we do. Our customers often divide their procurement by, for example, asking Company A for diecasting and asking Company B for LP. The subject molds/dies are widely different. However, if they thus divide orders, we will be restricted to remain in a specialized area, and it would be difficult for us to maintain and grow our business. 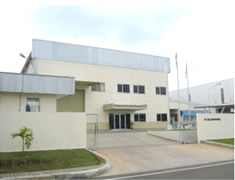 After all, a business of mold creation grows mainly through efforts to satisfy requirements from customers. Therefore, we have been hanging on to customers in order to run a sustainable business. Cost efficiency enabled by work segmentation may be improved only by compromising our opportunities of expanding business area. We have been able to deal with various types of orders in Indonesia. And therefore, we have been more capable of operating in a wider range of industries. This is our selling point. CAM-DX, HEALING SP, MOLD�|CREATOR, and CAM-ATTRIBUTE are used at PT. ISK INDONESIA. Mr. Suzuki says, �gThe reason for our selecting CADmeister is quick and attentive care for users after purchase. �gThe other day there was a TV program focusing on a Japanese taxi company that developed an EDR by itself. They said that they only depended on costly ready-made EDRs which were not friendly tor their taxi business. They decided to create their device with the help of engineers. As a result, they now have an easy-to-use device which has reduced costs. I thought that this is an age when mid-and small-sized companies custom-make systems that satisfy their specific requirements. We believe that CADmeister command capabilities are developed by major manufacturers who are big investors. I think that they can be further improved if mid-and small-sized companies can give their opinions with reasonable investment. 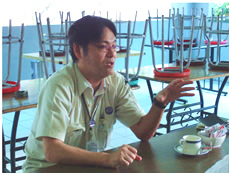 Mr. Suzuki said, �gMold/die makers largely depend on equipment as well as technology. If high risks are posed by the fixed costs of equipment, they need to be balanced by receiving more orders through a sales force capable of creating and maintaining strong sales channels. We are a medium-sized company. Small enterprises beat us with their prices. Big companies beat us with their sales force. When we say that we cannot discount any further, we see skilled workers at small companies outperform us through the use of old equipment, and we have large companies automate manufacturing processes through the use of state-of-the-art equipment and technology. We need to find how we can survive in a market where we are pressured from both sides. *** The company names and product names described herein are trademarks or registered trademarks of their respective owners. *** The names of local autonomous bodies, companies and individuals were given in the interview.